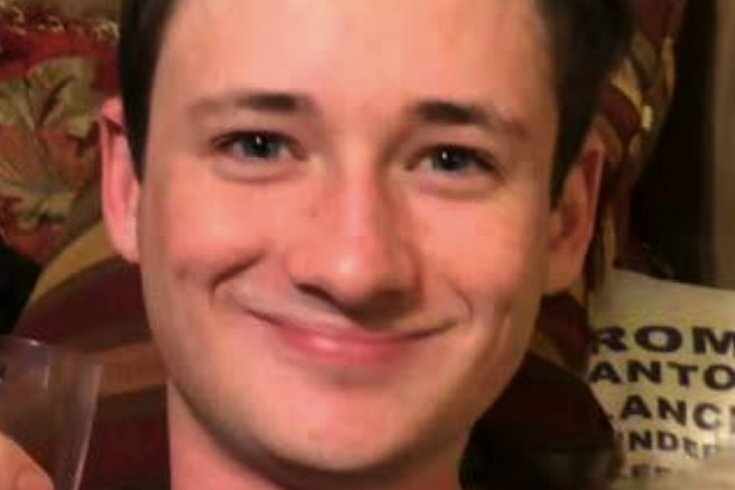 Blaze Bernstein is seen in a family photo released by the Orange County Sheriff's Department. A high school friend of University of Pennsylvania sophomore Blaze Bernstein was arrested Friday afternoon in connection with the 19-year-old's death. The Orange County Sheriff's Department took Samuel Woodward, 20, of Newport Beach into custody around 1:15 p.m., authorities told reporters at a press conference. Local TV coverage showed deputies escorting Woodward in cuffs. He wore a sweatshirt that read, "Keep the peace." Orange County Undersheriff Don Barnes said Woodward was not initially a homicide suspect in the case, but that he had been under surveillance "for some time" as authorities investigated the case. On Friday, authorities were able to tie Woodward's DNA to evidence of interest to the investigation, Barnes said. Early in the afternoon, authorities stopped Woodward as he was leaving his home in a vehicle and took him into custody. Bernstein's body was found Tuesday in a shallow grave among the brush along the perimeter at Borrego Park in Lake Forest, where his family lives within walking distance. Bernstein had gone missing in the park on Jan. 2, sparking a week-long search for him in and near the park. Authorities said they do not yet know where Bernstein was killed. Woodward and Bernstein knew each other, but authorities did not give details on the nature of their relationship. Bernstein went missing after he and a friend reportedly met up that night and later drove to the park near Foothill Ranch, about 50 miles southeast of Los Angeles. He had been in Orange County on winter break. Bernstein had planned to major in psychology at Penn and later study medicine. On Thursday, a search warrant indicated that the friend, who was not identified, appeared visibly shaken while being interviewed by detectives. The 16-page warrant filed by a sheriff's investigator and obtained by the Orange County Register states Bernstein's friend was "breathing heavy, talking fast and visibly shaking." The friend also had what looked like "dirt under the fingernails" on both of his hands and, during a follow-up interview at the sheriff's headquarters, took measures to avoid touching any doors in the office with his hands or fingers, the newspaper reported. “On their way out of Sheriff’s Headquarters, (investigators) noticed every door (the friend) had to touch on the way out of the building he pulled his jacket over his hand to prevent his hand and fingers from touching any part of the doors he touched,” the affidavit stated, according to the report. According to the Orange County Register, the friend said Bernstein had told him they were going to meet up with another friend from high school, and they arrived at the park shortly before midnight on Jan. 2. The friend, who is believed to be the last person to see the Penn student alive, then said Bernstein left the vehicle and walked by himself into the park, never to return. He waited for about an hour and tried to contact Bernstein, the newspaper reported, and he told investigators that he then left the park around 1 a.m., drove to a girlfriend's house before returning to the park at about 3:40 a.m. after Bernstein had not yet responded. In one interview, the friend could not recall his girlfriend's last name, the Register reported. It also states that detectives speaking to the friend at Borrego Park on Jan. 4 noticed his hands had several small scratches and abrasions. These were from a "fight club" he was involved in, according to the report. When asked why he had dirt under his fingernails, the friend reportedly told police he "fell into a dirt puddle."